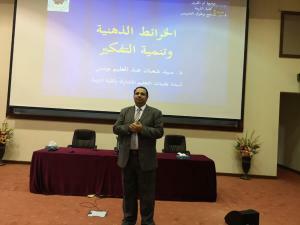 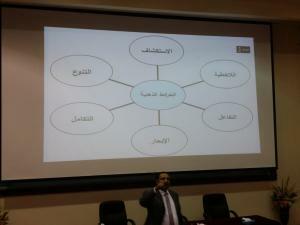 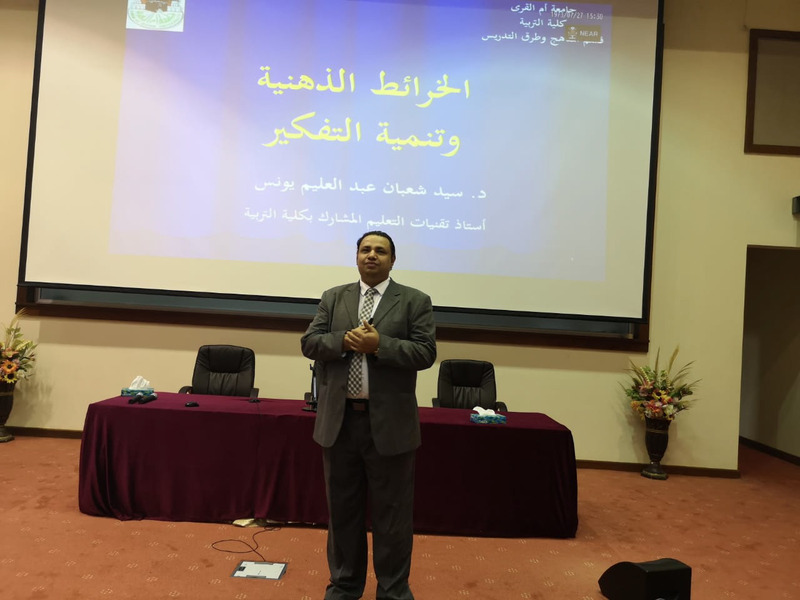 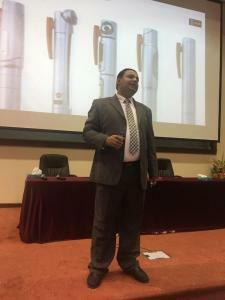 In the framework of the scientific activities of the College of Education, the Curricula and Teaching Methodology Department at the College of Education, Umm Al-Qura University, held a training course entitled 'Mind Maps and the Development of Thinking'. 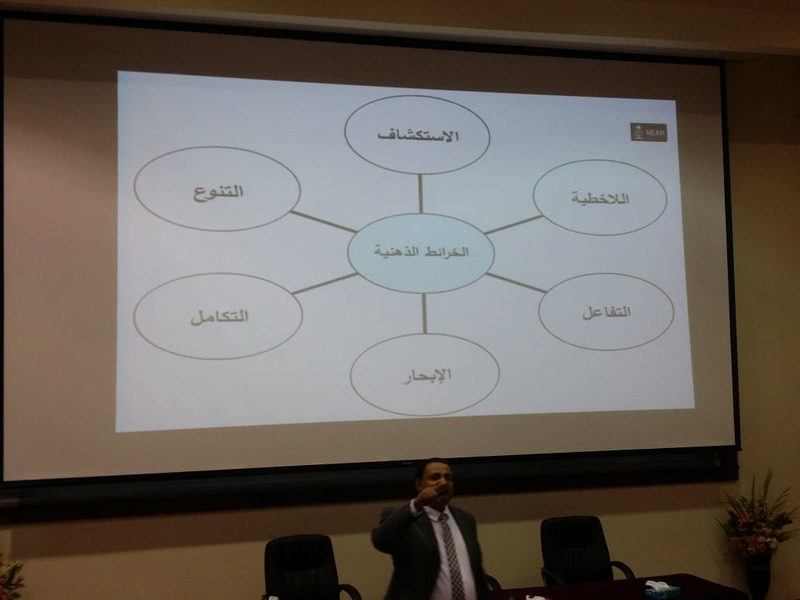 The course was presented by Dr. Sayed Shaaban Abdul-Aleem Yunus, Associate Professor at the Department of Curricula and Teaching Methodology. 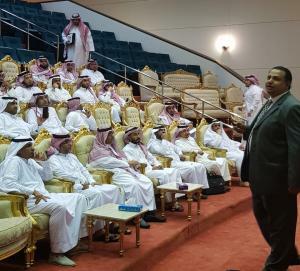 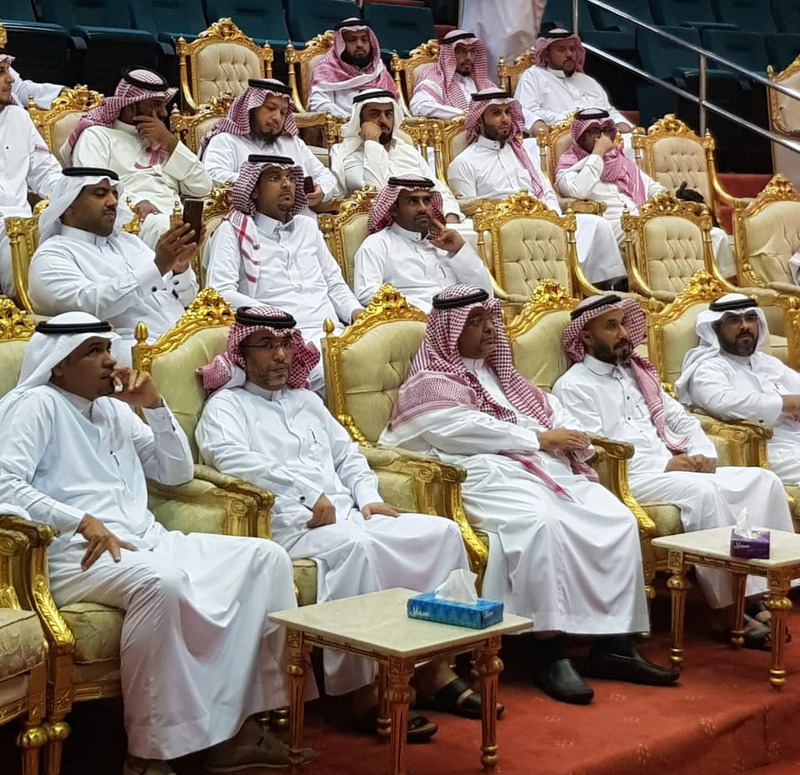 The course was attended by the Dean of the College of Education Dr. Aly bin Muslih Al-Matrify, Vice-Deanship of the College of Education Dr. Murdy bin Gharmallah Al-Zahrany, Vice-Deanship of the College of Education for Development and Educational Programs Dr. Muhammad Al-Sulamy, the Head of the Curricula and Teaching Methodology Department Dr. Awad bin Salih Al-Maliky, the Head of the Psychological Department Dr. Salim Al-Mufrigy, the Head of the Training Courses Center Dr. Abdullah Al-Shaair, a number of academic affiliates, and some post graduate students at the College. On his part, the Dean of the College of Education, Dr. Aly bin Muslih Al-Matrafy, praised the support and care of His Excellency the President of Umm Al-Qura University, Prof. Abdullah bin Omar Bafail, toward the College, and his sincere effort to enable the College to carry out its activities. The Dean also praised his Excellency for his support of the college programs to develop the research, academic and professional aspects of the students of different departments.